Last week I had one of my regular meet-ups with my dear friend Sherri Matthews, who blogs at A View From My Summerhouse. As many of you know, Sherri and I both live in the south of England, but 150 miles apart from each other; however, I’m very fortunate that her two grown-up sons live in my neck of the woods and she visits them as often as she can. To my delight, apart from our usual pub lunch, this time I was able to share one of my favourite walks with her — Cuckmere Valley and Estuary — the beauty of which I’ve celebrated many times in haiku and tanka verse. 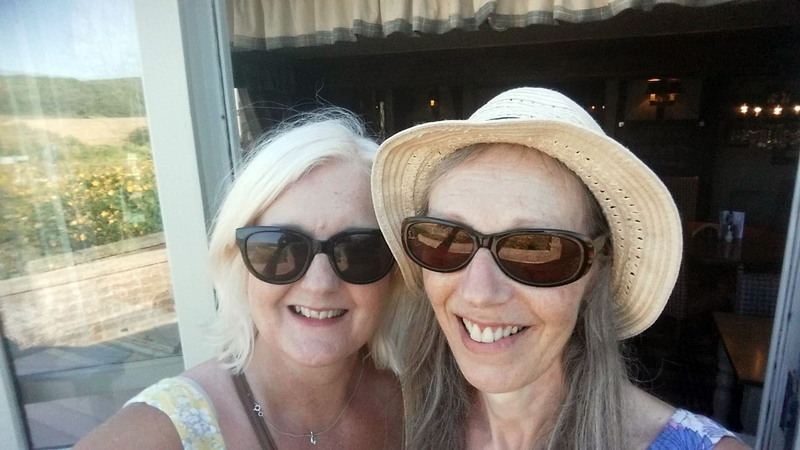 My first get-together with Sherri was back in June 2015, when we met for lunch and discovered that we could do more talking in a few hours than some people do in a week! Not only was Sherri the warm, caring, and sincere person I expected her to be, but I found she shared my quirky humour and eccentricity, too. So how could we end up as anything other than good friends? Of course we have writing in common also, and I think she’d agree that we support and encourage each other through the highs and lows of completing our projects. Sherri is working on the final draft of her memoir Stranger in a White Dress and, by now, most of my followers know that I write offbeat novels. Sherri twice contributed to my monthly guest storyteller slot that I ran for a little over three years. On both occasions, she managed to delight readers with some flash-fictionalised seasonal memoir — ‘Chocolate Umbrella’ and ‘A Blue Coat for Christmas’. I look forward to my next meet-up with Sherri, when I plan to share another of my favourite walks by the sea, which includes the site of archeological interest mentioned earlier this week in my tanka poem about a crow. Has anyone else a story to tell about real-life friendships they’ve made through blogging? 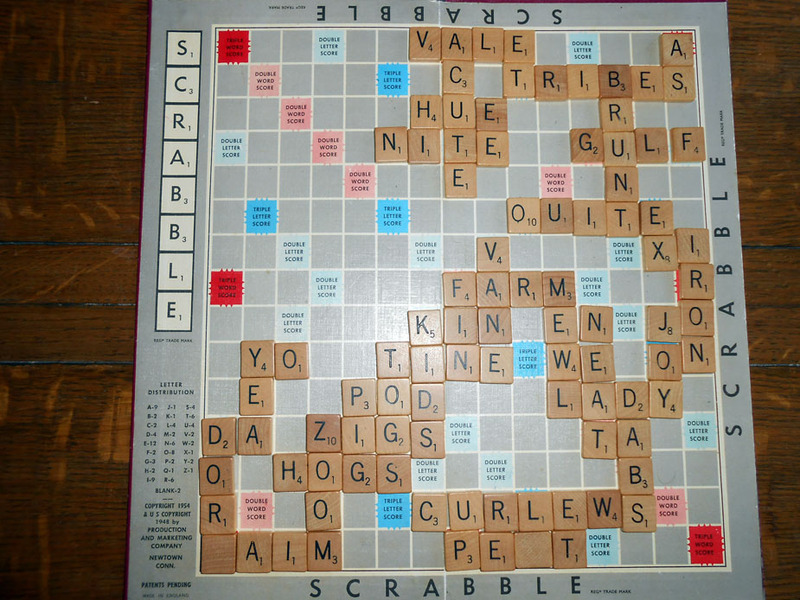 For the last 30 years, I’ve enjoyed countless Scrabble matches with my best friend, Cath. In the old days, when we lived next door to each other, I won my fair share of games, although the most memorable contest was when we were neck-to-neck, with only a few tiles left to play, and Cath’s cat jumped on the board, sending every letter on the board flying. Nowadays, our Scrabble matches just take place on Bank Holidays as that’s the only time we can get together due to commitments and travelling distance. I have to admit that for the last decade, I’ve probably only succeeded in winning two or three games against Cath, ever since she took up reading Scrabble dictionaries for pleasure and playing online tournaments. The game pictured above was the latest friendly battle, which I lost by 10 marks despite my incredible score of 78 on one turn. This is the highest score I’ve ever managed in a single go, but no reason for complacency opposite such a brilliant opponent. The final score was 258/248. 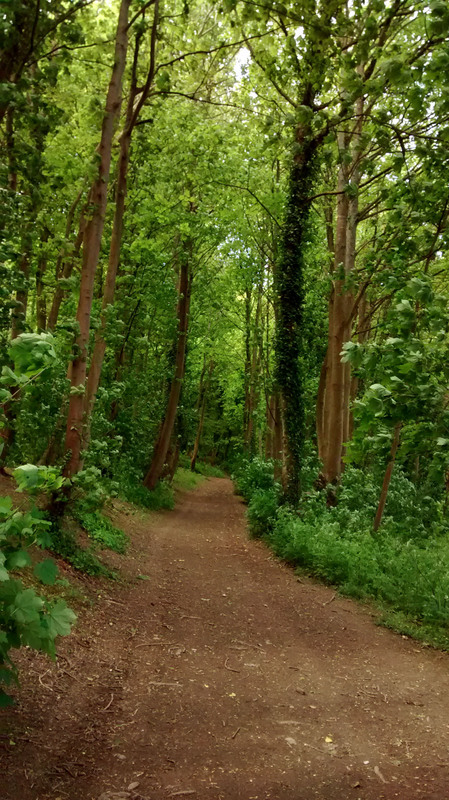 So how about a little weekend challenge for my fellow bloggers? Who can spot the letters responsible for my proud but short-lived moment of glory when I scored that 78?